As I recently noted here, I flew to California the week before Thanksgiving to attend the Harlan Estate 25th anniversary dinner at Poggio trattoria in Sausalito, California. And, as was entirely expected, the experience--from the wine to the food to the company--was spectacular. For an excellent primer on Napa Cabernet Sauvignons, click here--it’s a very good overview from the Wine Spectator of the storied region in terms of history, geography, and the main players there. 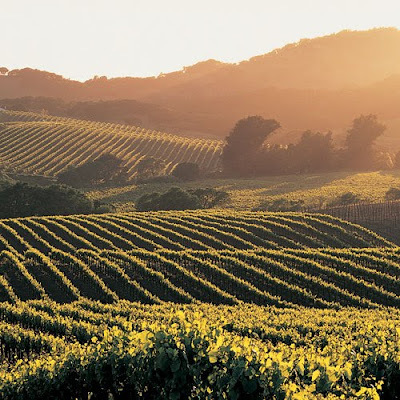 And for a more exhaustive list of Napa Cabs from the magazine, click here. I’ll be tasting a number of other Cabernets in the coming weeks and posting my notes right here. In just the past couple of weeks, though, I’ve had some very good experiences with the wines, from classics like Harlan’s and a bottle of Phelps Insignia 1997 from my father’s cellar that he brought over for dinner recently, to a new producer called Knights Bridge whose limited-production bottlings were excellent. And this past Friday night, at Wine Chateau’s new location in Piscataway, the 2007 Caymus Cabernet Sauvignon was open for guests to sample and savor. Its ripe dark berry and currant fruit, coupled with a lovely note of violet and a softening hit of new oak, are perfect for drinking right now or for holding onto for several years to allow the underlying complexity to shine through the exuberant primary fruit it’s showing right now. Utterly delicious wine.